Occupational Therapist Katrina Davies says that she has seen a significant increase in the number of school aged children requiring occupational therapy to help improve their hand strength and motor skill development and worries this number will increase with NAPLAN tests to be moved to an online format this year. “If the focus is turned to typing instead of writing in the classroom, we will find that children will leave school with illegible writing. Children are already getting to year 12 without teachers realising that their handwriting is so poor that HSC markers will not be able to read it. Assignments and assessments are already being completed on the computer in high schools and handwriting is being missed until the last minute,” she says. “Children are growing up without the strength in their hands or arms to hold a pen or pencil for any length of time. They are missing their key milestones and are at risk of lagging behind,” she says. 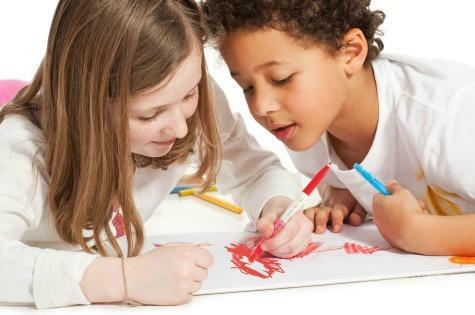 She says many children are simply unable to use the ideal ‘dynamic tripod grasp’ to hold a pencil or even use a basic pincer grasp to pick up small items because they are so used to tapping away on a keyboard or touch screen they haven’t had the opportunity to develop their foundational fine motor skills. “Handwriting is still an essential part of our society and it will be for many years to come. Writing is a mix of underlying skills and these skills are essential for other life areas,” she says. Ms Davies says that parents can help by limiting screen time and encouraging play, drawing and handwriting practice. Ms Barbara Oliver, marketing manager for Pilot Pen Australia said that the company had been aware of the growing problem of declining handwriting skills for some time. “We decided to do something about it by releasing an ergonomically designed pen called ‘Dr Grip’, which features a cushioned barrel to help improve hand-strength and to encourage correct pen hold. We also introduced the Kakuno Fountain Pen so children could practice their handwriting with the smooth flow of ink and nib, without the need for pressure,” she said. Both pens have been high in demand since launch, and sales have been steadily increasing in the last 12 months. Katrina Davies is the Occupational Therapy Manager at One Stop Allied Health & Medical Centre, in South West Sydney. For more information visit www.osah.com.au. Get right of entry to inexpensive, smooth energy is a big problem for the UN with cutting-edge reliance on fossil fuels. The primary goals listed right here are to widen use of reliable energy offerings on the worldwide degree and improve the same old of era Cloudfcommitments.org.